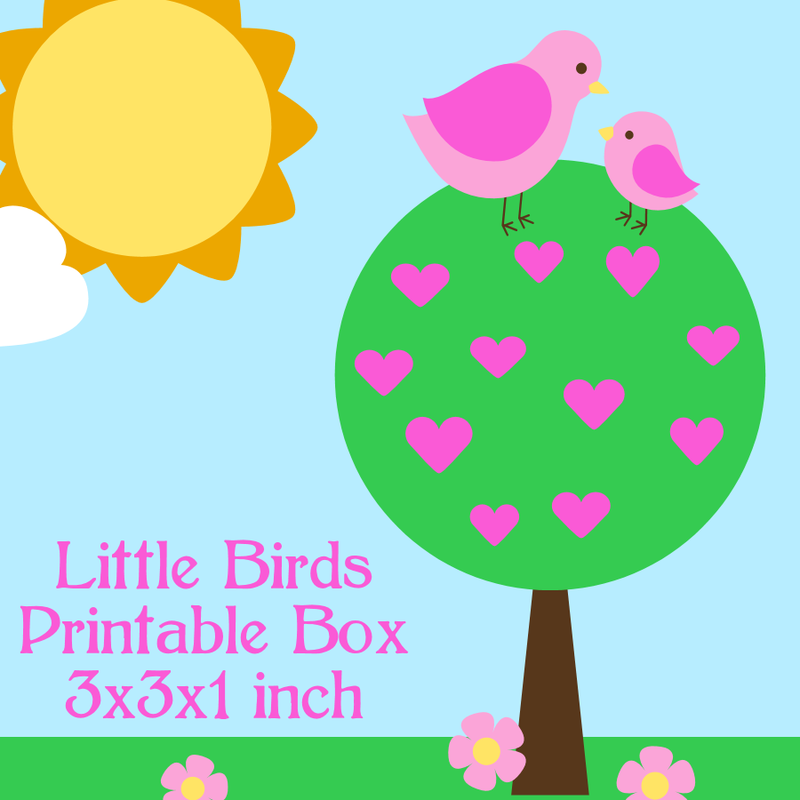 I hope you like this little birds printable box with a parent and child as much as I do. 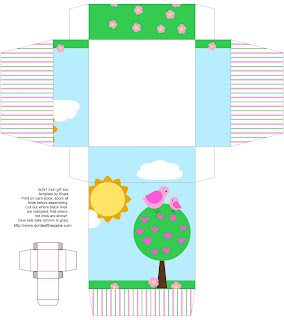 I think it would be cute for Mother's Day presents! Click on the image for a larger version to print, print on cardstock, cut out, score all folds, fold, glue. Check out the printing tips in the tabs if you are having issues with my boxes printing too big. You might find a tip that will help.